After being delayed for over 4 hours yesterday at Dover because of a Calais Port strike, Keith Taylor, Green Party MEP for South East England, has called for a stop to the “demonisation of migrants” and for “humanity” and “compassion” to be shown towards migrants who used the strike as an opportunity to try and gain entry to the UK. Keith was on his way from London to Brussels via the Euro tunnel yesterday afternoon when he was caught up in the travel delays at Dover. Despite some sections of the media blaming migrants for trying to take advantage of the transport chaos caused by the strike, Keith is adamant that the demonisation of migrants who attempted to board lorries is very unwelcome. “It was inconvenient being held up at Dover for over 4 hours but this bears no comparison to the misery and suffering migrants face on a daily basis at Calais. The real crisis here is for those seeking sanctuary, not for the irritated passengers. We have to show more humanity and compassion and I’m shocked by those who have used this crisis as an opportunity to demonise desperate migrants taking desperate measures. I have the great benefit of being lucky enough to be born in Britain but who could say what any of us would do if we are fleeing miserable conditions in unsafe countries. In unusual circumstances, the planned vote in the European Parliament on TTIP tomorrow (The Transatlantic Trade and Investment Partnership) – an EU-US trade deal currently being negotiated, has been cancelled. The controversial deal seeks to remove standards and protections that are currently enshrined in laws across the EU and US. Examples of these regulations include labour rights that protect people at work, environmental regulations and food safety laws. Included in the agreement is a clause called the Investor State Dispute Settlement (ISDS) which many MEPs have warned would allow corporations to sue Governments in secret courts if a Government passed laws which limited a corporation’s profits or activity. More than 2 million EU citizens have signed a petition against the deal. “The decision to cancel the vote on TTIP stinks of political parties in the European Parliament running scared of the huge public opposition to TTIP. 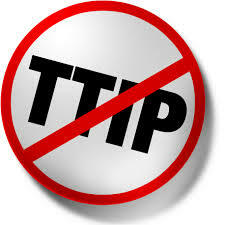 TTIP represents a monumental power grab by corporations and it must be stopped in its tracks. With MPs scheduled to debate the EU referendum bill at second reading today in the House of Commons, Keith Taylor, Green MEP for South East England, has said that staying in the EU would “guarantee a better future for the UK”. The Green Party is in favour of a referendum because it believes in giving voters a say on the issue however the Greens are strongly campaigning to remain in the EU. As part of their campaign, they will be talking up the major benefits to the UK that come from legislation created by the EU. For example; workers rights, environmental protections and freedom of movement. “Staying in the EU would guarantee a better future for the UK. The EU is far from perfect however vitally important workplace protections and environmental legislation would be under threat if we decided to exit. We must also remember that the EU gives us, and our EU counterparts, the right to live and work in other EU countries which is something that everyone stands to benefit from for decades to come”. The Greens are also strongly campaigning for 16-17 year olds to be given the chance to vote in the upcoming referendum. “Many people feel that the EU is something that’s done to them – rather than something they have a say on. We must use this opportunity to have a real debate about the role and purpose of the EU. And that means involving 16-17 year olds too in this historic, far reaching and long term decision. When given the vote in the referendum on Scottish independence, young people engaged strongly, intelligently and responsibly with the debate. An estimated 75 per cent of them turned out to vote. Sarah Brimacombe of the law firm Clyde and Co LLP has written an excellent article on the Lexology website about the implications of the new minimum energy efficiency standards on commercial buildings. Is there anything comparable in other countries? New regulations on minimum energy efficiency standards for commercial properties: tenants beware! The 2013 annual fuel poverty report for England was released last week. The report analyses data from English Housing Survey to measure the impact of fuel poverty in England. A combination of rising incomes and energy efficiency improvements in low income households has seen a decrease in the fuel poverty gap from £909 million in 2012 to £877 million in 2012, with an overall reduction of £32 million. There has also been an improvement in fuel poverty levels in England from 2.36 million in 2012 to 2.35 million in 2013. These improvements are encouraging because they show that we are moving in the right direction and that by helping low income households improve their energy efficiency we can make a real difference in helping to keep their bills down. To download the report, go to the government website. You are currently browsing the The Northants Green Party Blog blog archives for June, 2015.